We got married young. And it rocked. (In case you couldn't tell by the title of the post, I decided to just reiterate it there for ya). We also got married fast, but that's another story for another day. There were plenty of people who objected to our marriage, either for the young or the fast reason. Both of which we could and still do understand. 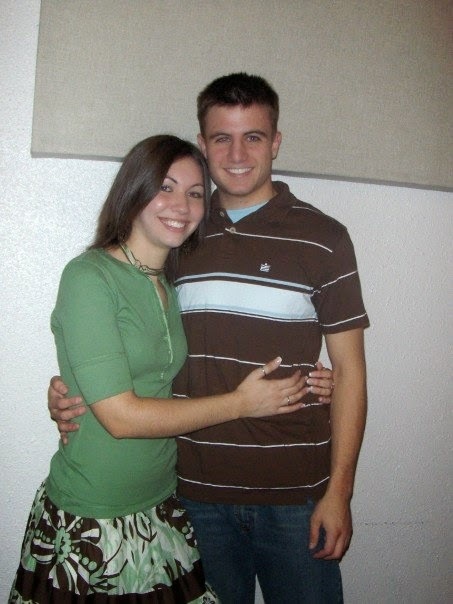 When we got engaged, I was 20 and he was 19. We were both a year older when we were married. Some would say that we hardly had any life experience under our belts, and they are probably right. But here is why it was still awesome and I would still do it again, in a heartbeat. 1. We didn't have as much life experience. Wait. Didn't we just agree that this was NOT a good reason to get married? Yes, yes we did. But I think it was actually a good reason. We didn't have as much opportunity and time to be burned by other relationships (though we had both had our fair share of that). We weren't both set in our ways. We got to figure out how to do life together. I can imagine that if you bring two middle aged people together, who have both been doing things their own way for the last 20 years, it would probably be hard to blend that. I'm in no way saying that they won't figure it out or it won't work, I would just imagine it would be a lot harder! We are creatures of habit. We get used to doing things a certain way, and then to have someone suddenly come in and disrupt everything that you do in your own home? It would be tricky I think! If I had gotten used to never having socks on the floor, I would probably be a lot more annoyed by the socks that get left on the floor. Just kidding though, because my husband doesn't leave his socks on the floor...but you get where I'm going here. 2. We get to spend more of our lives together. This reason is probably my favorite. I feel so blessed that I met him at such a young age. I love that, Lord willing, we will get to spend so much of our lives together. Every time I see an elderly couple holding hands or being sweet with each other, I smile because I feel like I'm looking into the future. The other day we were at the mall and there was this cute couple, probably in their 80s, sitting on a bench together and they were just giddy. They were sitting really close to each other on the bench, knees toward each other, holding hands on top of their lap and he kept whispering things in her ear and she was giggling like a little girl! It was the cutest thing ever and both my husband and I noticed at the same time and looked at each other knowingly. Mark my words, if we are blessed to live that long, that will be us. I've kind of gotten away from the point here, but all that to say that I feel like it is a privilege that I get to spend so much of my life, majority of my life really, side by side with this wonderful guy! 3. We got to learn a lot of things together. This kind of goes hand in hand with number one, but we didn't know that much when we got married. We didn't know how to make a budget, or how to spend our money wisely. We often remark about how when we first got married, we'd go to the grocery store with no plan in mind, just throwing whatever we wanted into our cart. We didn't know what was healthy, and we didn't care how much stuff cost. We didn't by specific ingredients for a meal, we just threw together what we had. It wasn't planned out and we wasted a ton of money and food doing it, but we got to figure it out together. And honestly, I think we both have really fond memories of that time together. We laugh about the meals we used to eat and how we thought that stuff was good! Besides just learning how to budget and shop, we've learned so many other things side by side. 4. We got to grow in Christ together. We were both really young believers when we married. This may not always be the best thing, but for us it worked out well. I had been a Christian about a year when we met, and he was saved around the time we started dating. Looking back, we were foolish. We would have done things totally different now than we did then, but again, fond memories. I love that we got to study the Bible together, learn right from wrong together, grow in God's truth together. I love looking back and seeing how far we have come. I have learned so much from that man, and it's been so incredible to watch God grow and use him! This was on the day he was baptized in 2007. 5. We weren't as rushed to have kids. This may or may not have anything to do with age. I'm sure some 20 year olds are itching to have children immediately, and there are 40 year olds who want to wait 5 years. We swore that we would wait AT LEAST 5 years before having kids. Swore it up and down, we were 100% sure. Well I'm sure everyone was laughing at us when 9 months later we decided to start trying for a baby. 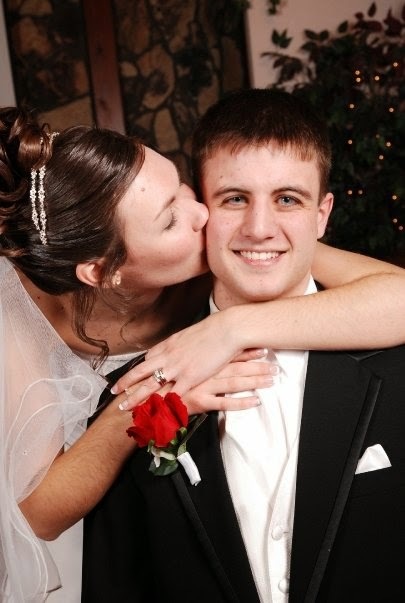 God clearly had other plans for us, but even still I am glad we had those years together to just enjoy married life. Not that there is anything at all wrong with having a baby right away! I would have loved to have kids at any time, I just really enjoyed getting to figure out marriage first. At the time when we were struggling to get pregnant, I didn't see that as a blessing, but now I wish I would have cherished that time with just the two of us even more! I've recently read several things about young marriage and how bad it is. What do you think? I loved getting married young, and unless something drastically changes my mind, I wouldn't mind at all if my girls did the same. I think things probably depend a lot more on the people than the age, but I'm still curious to hear everyone's thoughts on the matter! I can't imagine not being married young! I love it! Great thoughts! My boyfriend and I are both 21 and we've been talking about getting married when we're both 22 or 23 and it helps to read advice from someone who was a young wife too!